We are preparing a super busy week for all the Warhammer 40k fans out there! 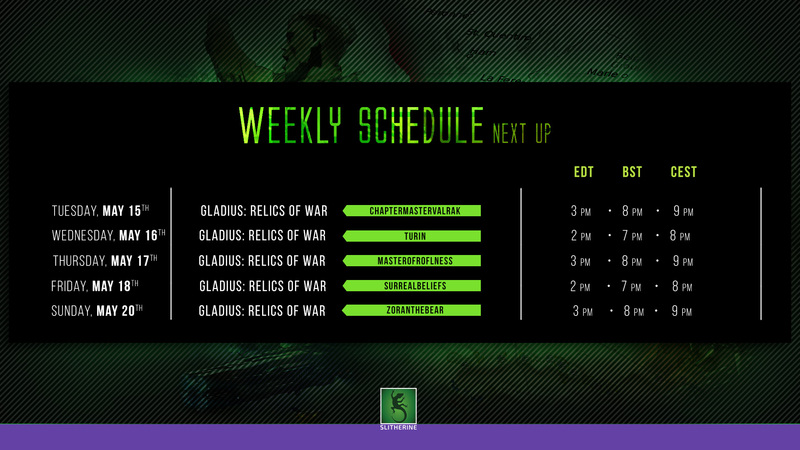 Gladius - Relics of War, the first 4x strategy game set in the grim future of the Imperium of Man, will be previewed in multiple live sessions, both on YouTube and on Twitch! Famous and renowned streamers have volunteered for this epic task, so make sure to mark the dates and not miss any appointments! Check the Preview Calendar below!